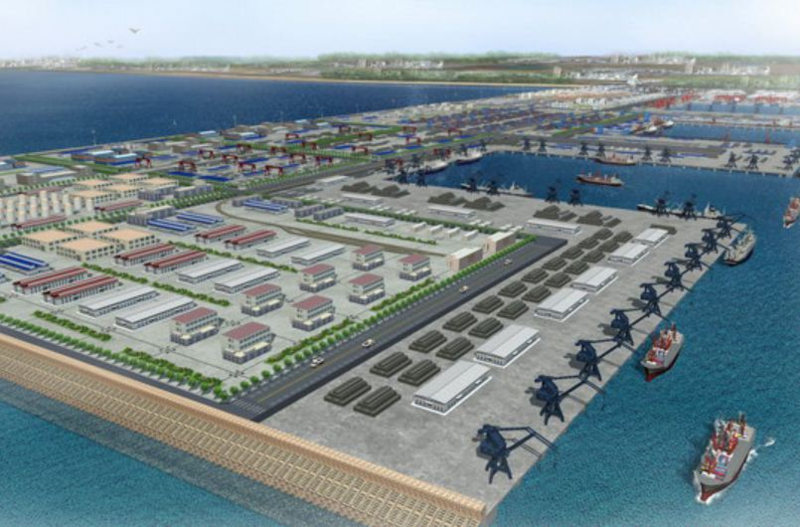 Daewoo International, the trading arm of POSCO, announced on May 25 that it has won a large shipbuilding order in cooperation with Sungjin Geotec, another POSCO affiliate. Under the deal with Swire Pacific Offshore (SPO) of Singapore, Daewoo International will build a $20 million offshore supply vessel (OSV). Daewoo International and Sungjin Geotec will deliver the vessel to SPO within one year. Sungjin Geotec specializes in offshore plant equipment and modules for global energy markets. An offshore supply vessel is used for diving assistance or oceanographic surveys for offshore oil platforms. Amid a worldwide boom in marine energy exploration, OSVs are becoming increasingly important. “The victory was a result of Daewoo`s extensive overseas network and information power, combined with specialized technologies of Sungjin, which has long been involved in the OSV market,” Daewoo International said in a press release. “This will be remembered as a good example of how partnership between different POSCO affiliates can create synergy“. “The partnership with Daewoo International was the key ingredient to winning the contract,” a Sungjin representative commented. Sungjin Geotec plans to strengthen its ties with Daewoo International to expand its presence in global OSV markets. Source: World Maritime News – Daewoo International to Build OSV for Swire Pacific (Singapore). EMAS, a leading global offshore contractor and provider of integrated offshore solutions to the oil and gas (O&G) industry and operating brand for Ezra Holdings Limited announces two further contract awards worth a total of approximately US$131.5 million. EMAS’s fabrication division, recently rebranded as TRIYARDS, has been awarded a US$76.5 million contract to fabricate and deliver a self-elevating mobile offshore platform/unit for a client based in Asia Pacific. The unit will be manufactured by the Group’s fabrication division’s yard in Vung Tau, Vietnam, the Group’s second yard facility in country. The fabrication division provides fabrication and vessel design as well as engineering services and has previously built one of the world’s largest self propelled jack-up rigs of its kind. In a separate announcement EMAS reported its subsea division, EMAS AMC, has been awarded a US$55 million contract for SURF (subsea umbilicals, risers and flowlines) installation and pipe lay from Statoil for work in the North Sea. Mr Lionel Lee, EMAS’s Managing Director, said: “Our continued stream of new contract wins across the globe by our various divisions validates our internationalisation strategy. We had identified subsea services for our next phase of growth, and since our strategic acquisition of Aker Marine Contractors last year to form EMAS AMC, we have been able to push our Group orderbook to almost US$2 billion in a short span of a year. 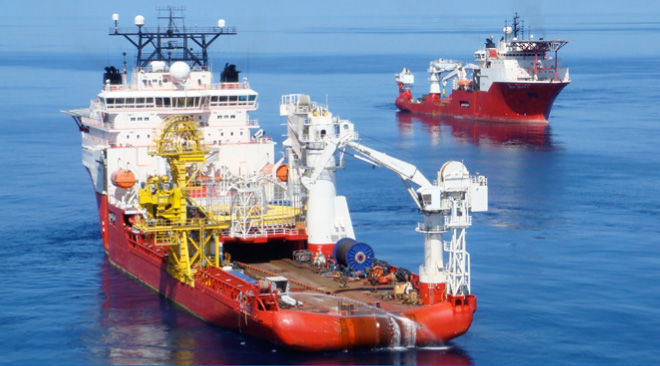 EMAS recently announced the award of a US$70 million contract (with options valued at US$30 million) from Apache Energy Limited, allowing EMAS AMC to achieve its US$1 billion subsea orderbook target ahead of time. Odfjell SE has made an agreement to enter into a joint venture via its subsidiary Odfjell Terminals Asia Pte Ltd (Singapore), with Tianjin Economic-Technology Development Area (TEDA) via its subsidiary Nangang Port Company to develop a terminal and marine facilities for bulk liquid chemicals, petroleum products and gases in the Nangang Industrial Zone (Tianjin) in China. The initial phase of the joint venture will consist of three deep sea berths and have a total storage capacity of about 150,000 cubic meters. 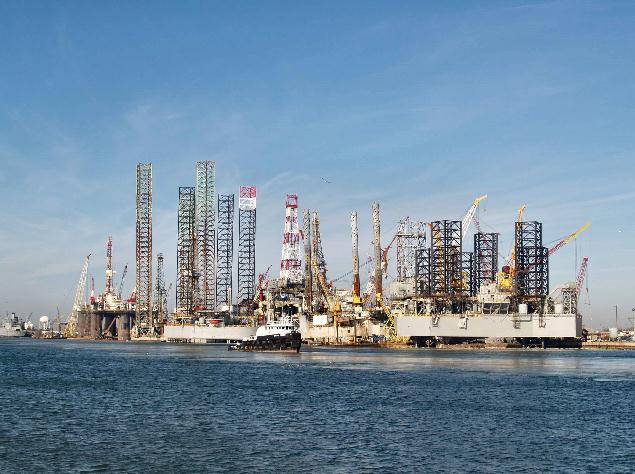 Keppel AmFELS, a shipyard strategically located at the gateway of the Gulf of Mexico, Brownswille, Texas has secured a contract from Diamond Offshore to construct and upgrade a moored semisubmersible rig with delivery scheduled for 3Q 2013. The estimated shipyard contract price is approximately US$150 million. The rig, to be named Ocean Onyx, will be constructed from an existing hull from a Diamond Offshore cold stacked unit, which previously operated as the Ocean Voyager. Keppel AmFELS’ scope of work on the Ocean Onyx includes the reconstruction of the rig, installation of advanced equipment such as a modern drilling package, and installation of sponsons to the pontoons to enhance the stability of the rig in deepwater. The rig will be designed to operate in water depths of up to 6,000 feet and will have a variable deck load of 5,000 long tonnes, a five-ram blowout preventer, and quarters capacity for 140 personnel. Keppel O&M has previously built four similar semisubmersible rigs for Diamond Offshore: the Ocean Baroness, Ocean Rover, Ocean Endeavour and Ocean Monarch.